Happy Monday everyone! I am starting the week with bright colors and prints. 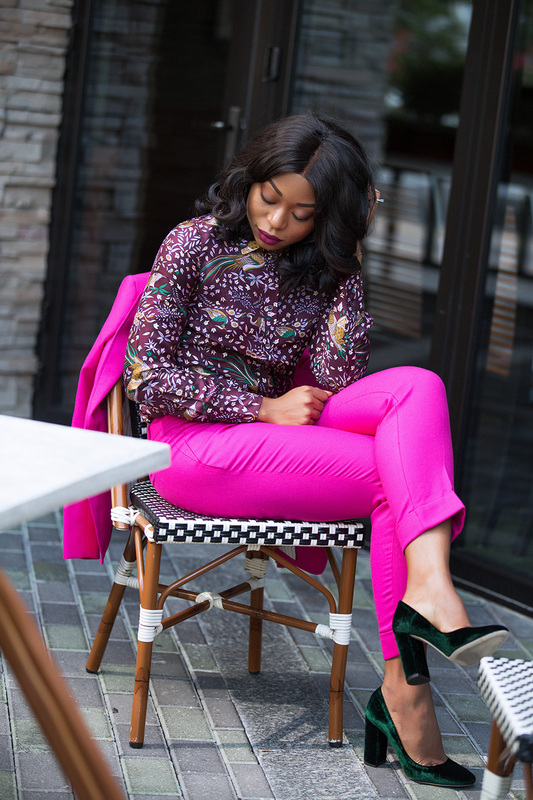 Bright colors are not limited to the spring and summer seasons as they are great for the fall and winter and pink is one of the colors to embrace this season. From street styles to runways, pink and velvet are making impacts this season. 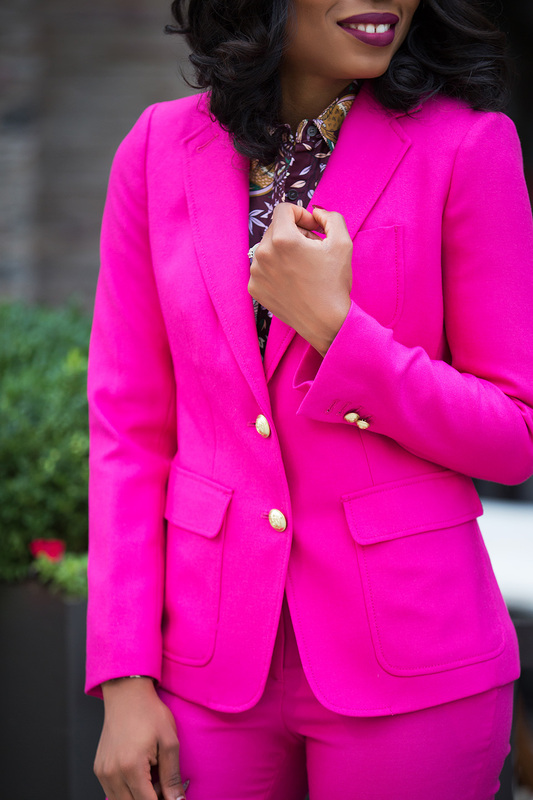 This JCrew pink pants and blazer are great additions that can be paired together or separately as shown on this post. 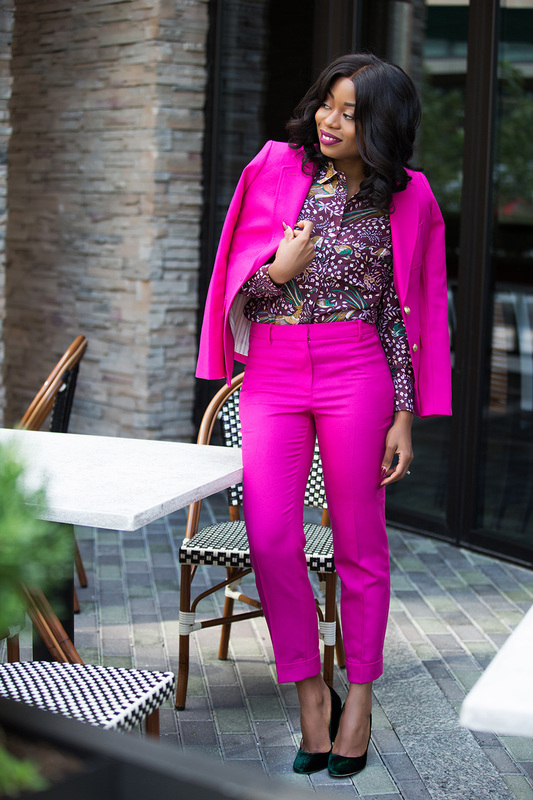 Separately, pair the pink pants with a print top or any solid top or sweater of your choice minus the pink blazer or simply throw on a navy blue trench or fall coat. 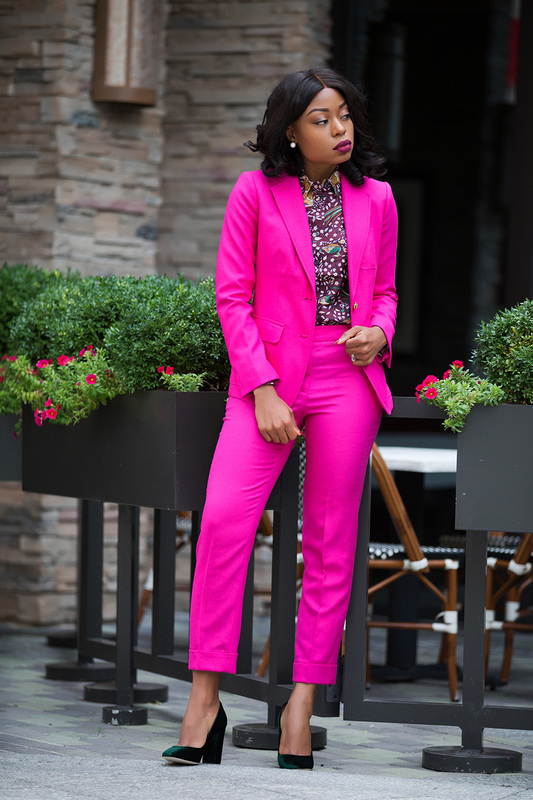 For today's look, I paired the suit with a deep warm color print top to offset the bright pink. I accessorized with velvet/suede green pumps which complement the blouse. When styling bright colored looks, it is best to accessorize with subtle or warm colors that will complement the look without being overbearing. You nailed this look Stella! And those shoes look good! !